During the Holy Week in the Philippines, starting from Palm Sunday to Easter Sunday, a number of religious observations were held. On Good Friday (Biyernes Santo), the day starts with the Way of the Cross procession where Jesus’ Seven Last Words are portrayed. In some area, this was acted out literally, those who had their wishes granted even went as far as having themselves nailed on a cross. This is followed by the procession of the Sano Eniterro, where a wooden sculpture of the dead Christ is parade. Scenes from the life Jesus were also depicted in figurines and shown in carriages around town. 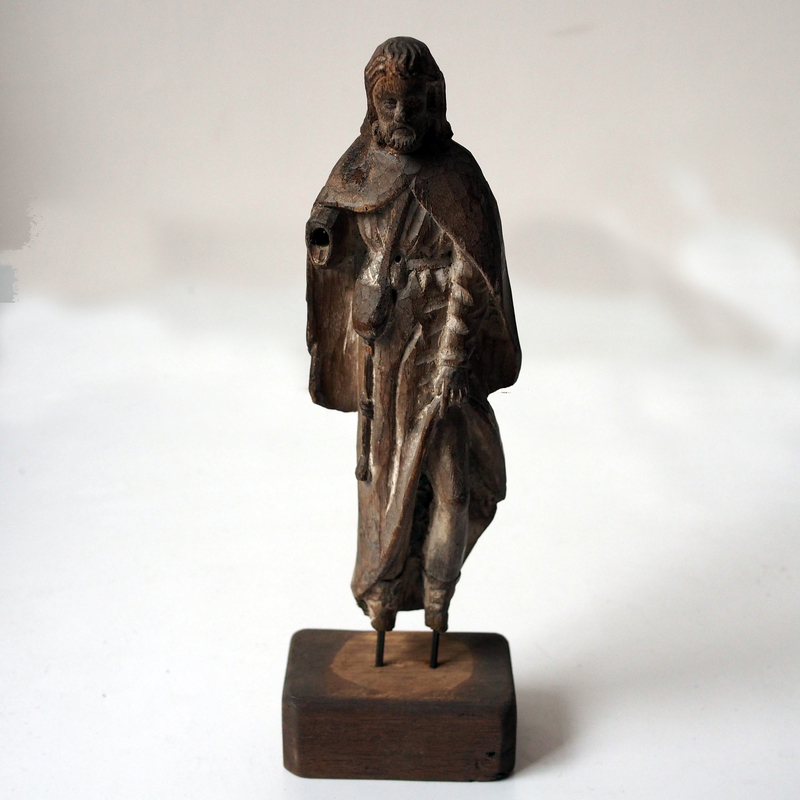 In this figurine, Jesus is lifting up his garment and revealing his left leg, would anyone know which part of the scripture does this fit into?